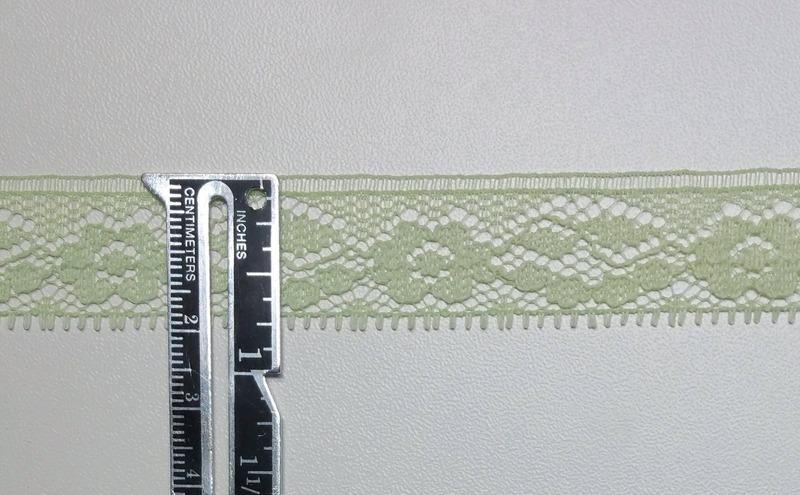 This listing is for one yard (36 inches or 91.33cm) of vintage, lace trim. There are multiple yards available. If more than one yard is purchased then you will receive the entire yardage as one complete length. If you would like a different or larger amount please contact me and I can set up a special listing for you. 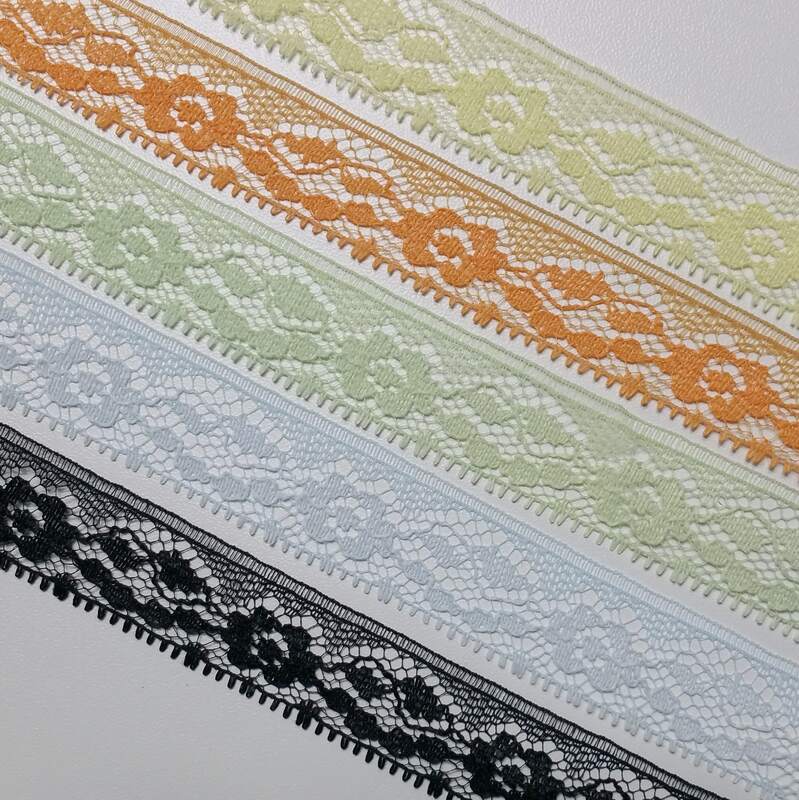 It is less expensive for me to sell the lace in larger quantities and I transfer this savings to you. 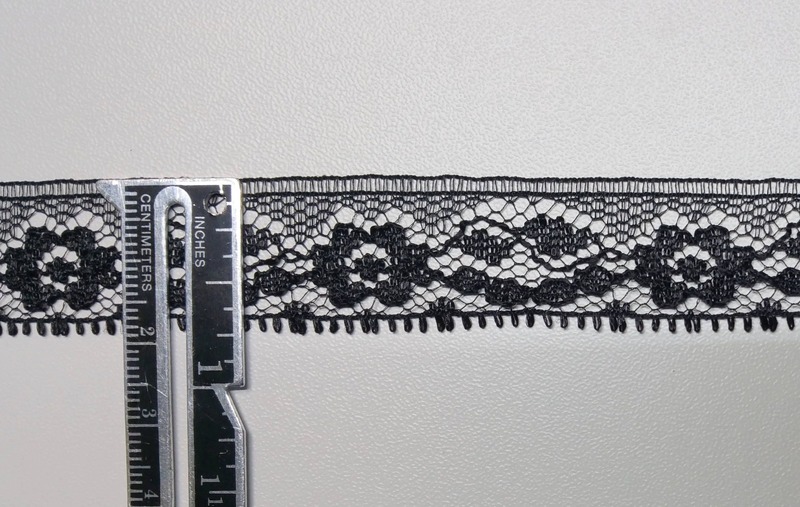 This beautiful lace was created in the 1960's to 1970's and features a floral pattern. It would make a super cute addition to any girl's dress. 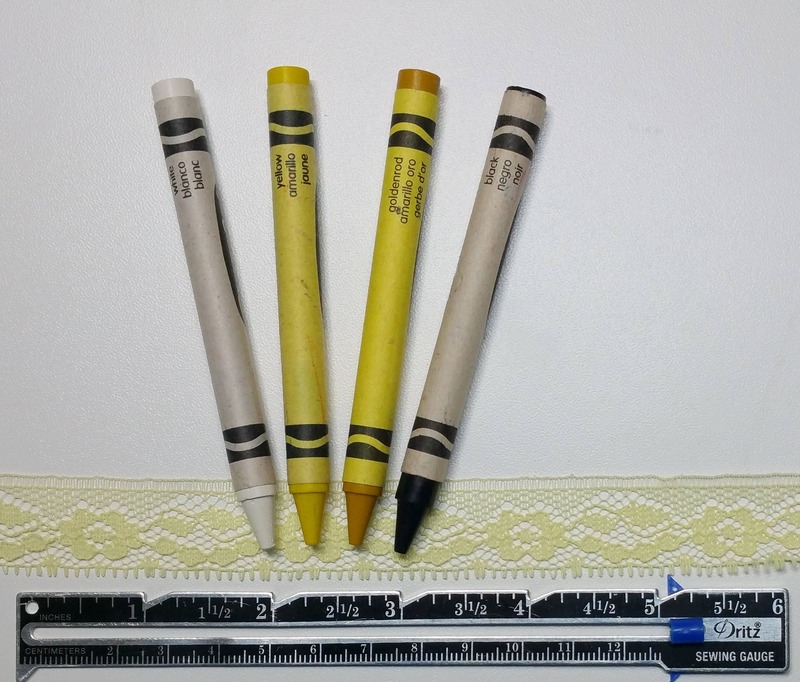 It can also be used for crafts and home accessories. 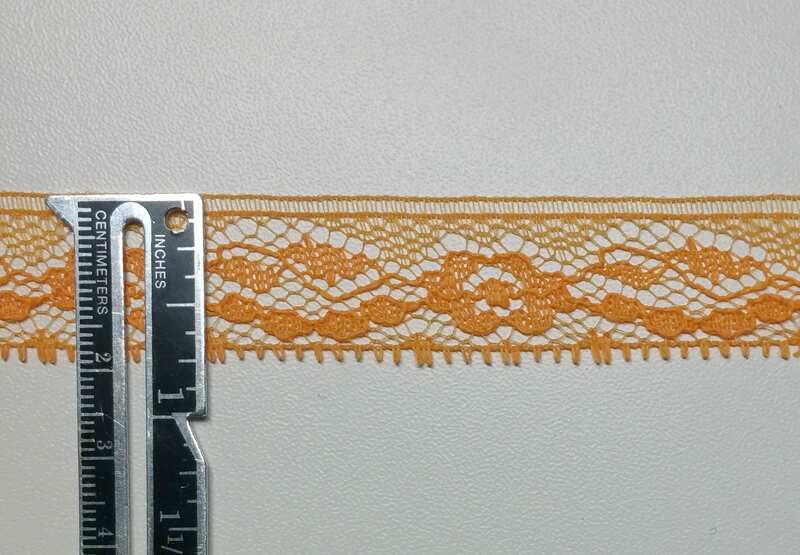 The lace is about 3/4 inch (1.9cm) wide. 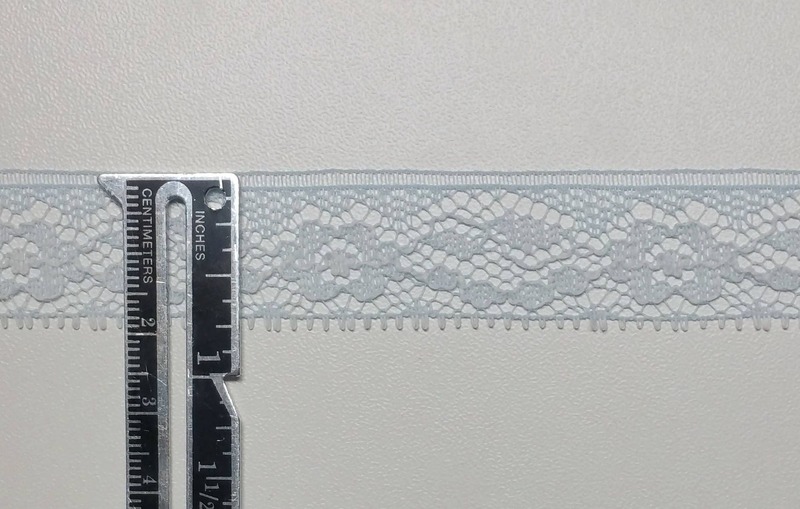 The lace has a slightly stiff drape. 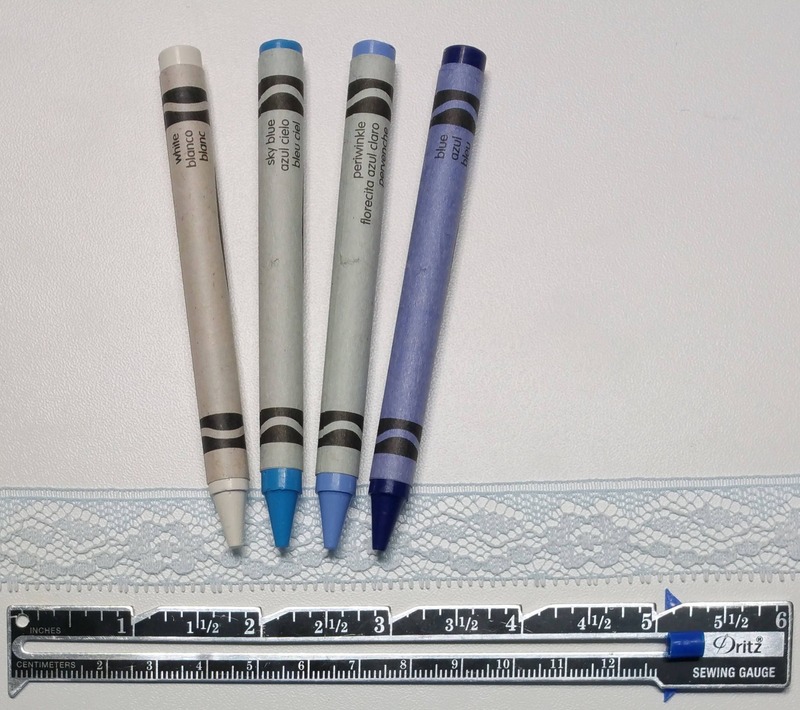 Please choose the color you would like from the drop-down box. 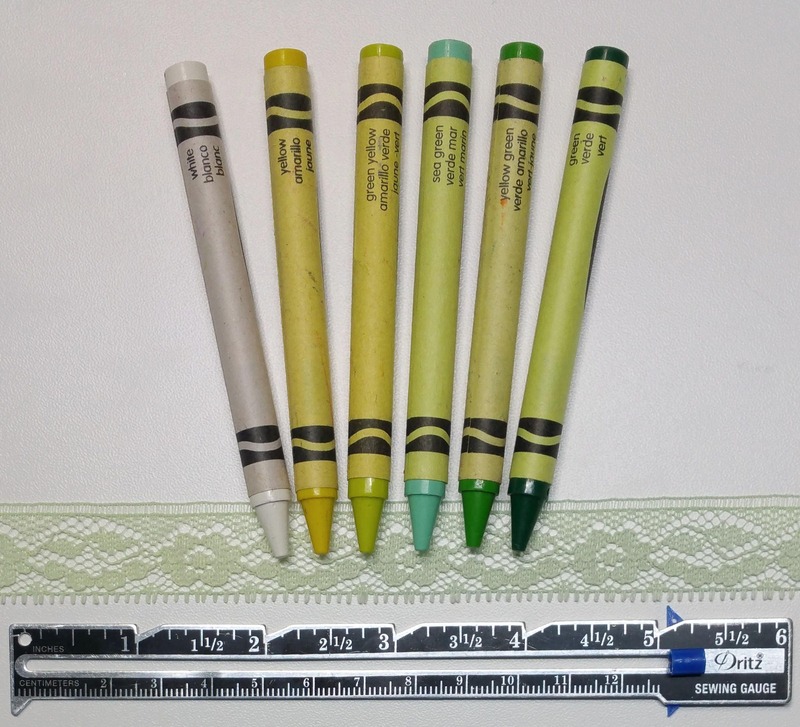 Crayola brand crayons were placed in the photos for color comparison. 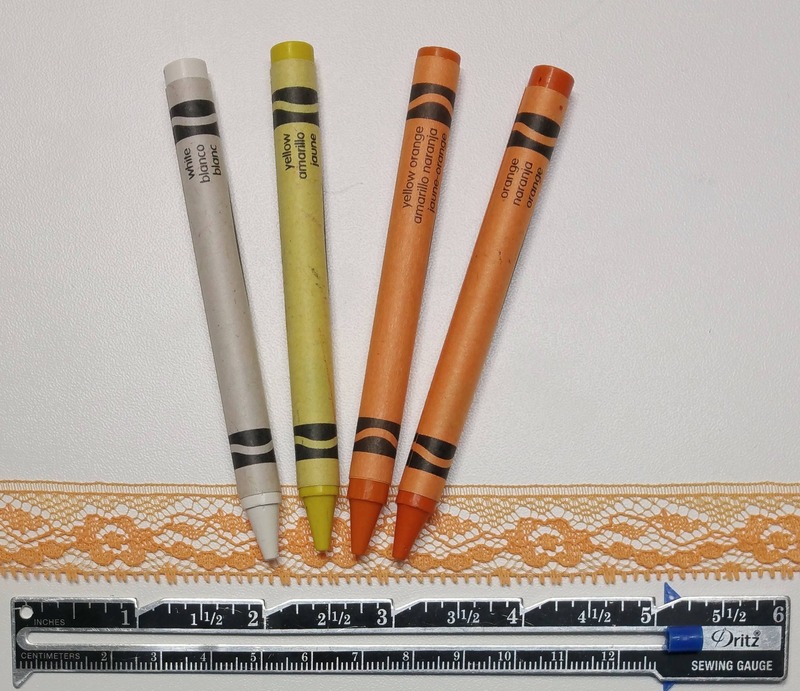 Please note that the woven flowers and bottom fringe of the yellow, orange, pale blue and pale green lace are a slightly different hue than the rest of the lace. 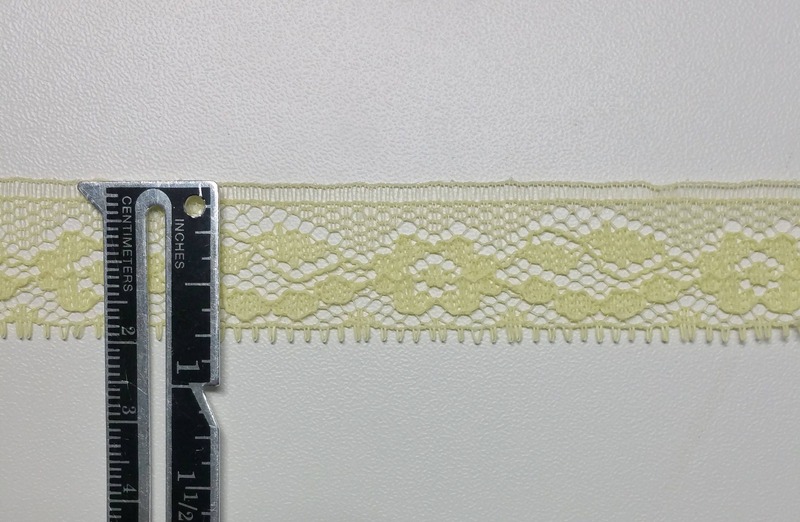 This slight color difference gives the floral parts of the lace a nice contrast from the rest of the lace. I believe that this trim is made of polyester and/or nylon.